If you’re a parent, you have probably struggled with your kids over tooth brushing many, many times. Over time, they will surely grow to like brushing their teeth-but only if THEY are the one doing it. They shout, “I DO IT!” while trying to pry your fingers from the toothbrush. It’s negotiating with a child, “Mommy does it first, and then you can do it.” Or “You do it first, then I will do it.” Eventually the tooth brushing deal grows old, though. Around age 4, your children will probably try to convince you that they no longer need you to “finish” brushing their teeth: “I don’t need help anymore! I’m a big kid now!” Well, they are certainly becoming more capable at that point, but they are probably not quite ready to do a GOOD job of cleaning their teeth. This is our doctor’s tip: until your children can demonstrate to you that they can tie their own shoes, they’re not ready to brush their own teeth. Kids simply don’t have the dexterity yet to hit every tooth surface properly until they’re able to tie their shoes, and who wants to deal with cavities being filled as a result of poor dental care? We love this tip because it’s black and white and you can also blame the dentist: “Hey, it’s not my rule. The dentist is the one who said it works this way…” That point usually makes them give up and hand you the toothbrush. So the next time your kids start whining about being old enough to brush their own teeth, simply remind them of the shoe-tying rule. I wouldn’t be surprised if it encourages them to start working on tying their shoes, too! 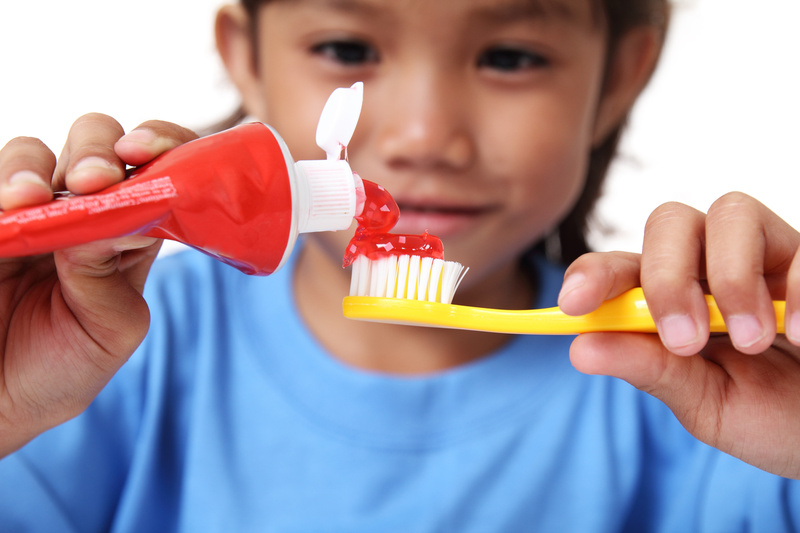 You’ll have shoe-tying, tooth-brushing, super-proud kids in no time!